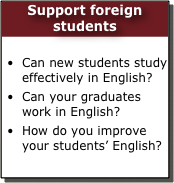 Australian and New Zealand colleges need to ensure non-English students are prepared for study in English, and later communicating at work. - check a new student is ready to study in English. Graduating from your University is not intended to be a sign of English competence. 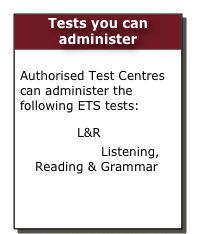 Add a separate TOEIC certification to show their English level. How you ensure your students are proficient is your choice. Please contact us about how this can be done for your institution.